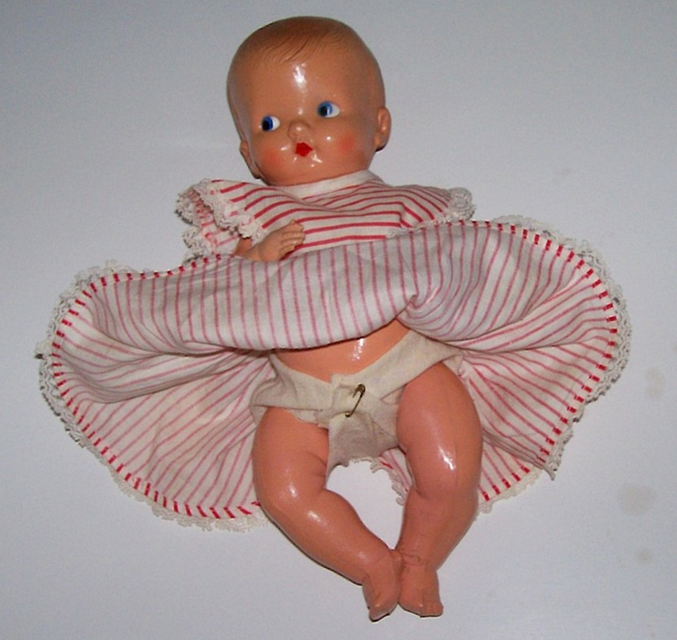 Technically, this doll does not need repairs. It is included on the site because it is interesting. 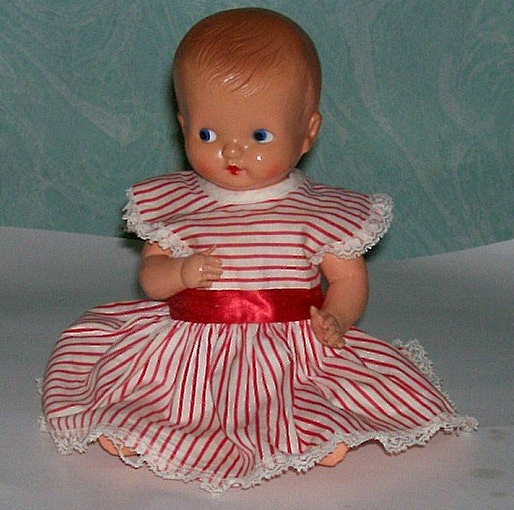 Irwin made celluloid dolls. The material celluloid proved to be flammable (able to catch fire easily) or even inflammable (extremely easy to catch fire). 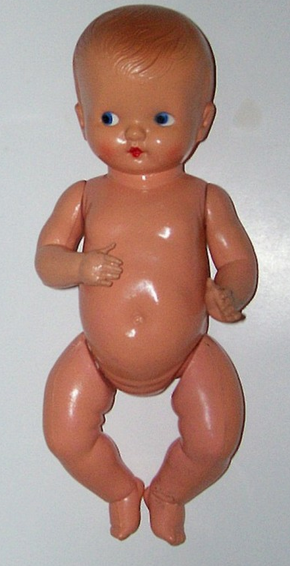 Doll manufacturers needed to find a substitute material - hence the invention of what became known as "hard plastic". The German company, Schildkrot, called their non-flammable material "tortulon". 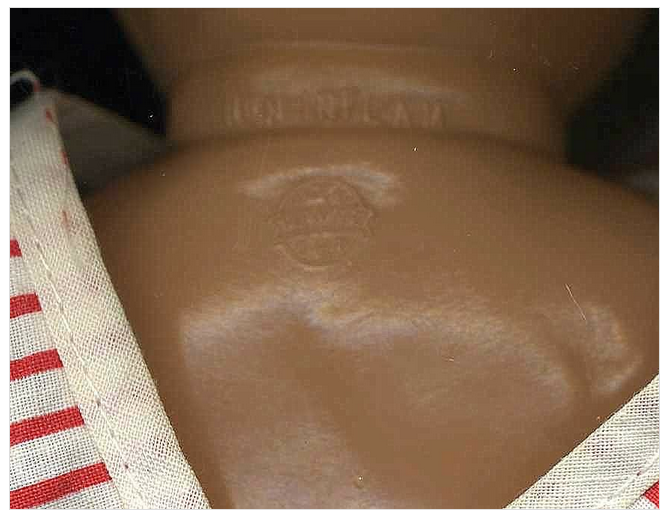 Irwin used the marking "NON-INFLAM" along with their doll mark to let consumers know that the doll was not celluloid. For more information on the Irwin company go to the Irwin Walker page on this site.